If you’re looking for cuisine in Minnesota that has a little more je ne sais quoi than your standard Midwest fare, you’re in luck. The North Star State happens to be home to several fantastic French restaurants. These are our favorite boîtes, bistros, and brasseries in Minnesota. The flagship Meritage restaurant—and its satellite oyster bar—in downtown St. Paul are mainstays on all “best restaurant” lists in Minnesota. As one of the best-reviewed restaurants, Meritage is purveyor of the most widely-acclaimed French cuisine in the state. Their oysters are amazing, as well. We can't wait to see you again this evening. We’re now open at the Oyster Bar and in the dining room! Casual diners will love Barbette’s simple bistro-style menu, awesome happy hour, carefully-curated wine selection, and quietly festive atmosphere. In addition to serving delcious French fare, Barbette is the perennial host of the Twin Cities’ annual Bastille Day celebration. 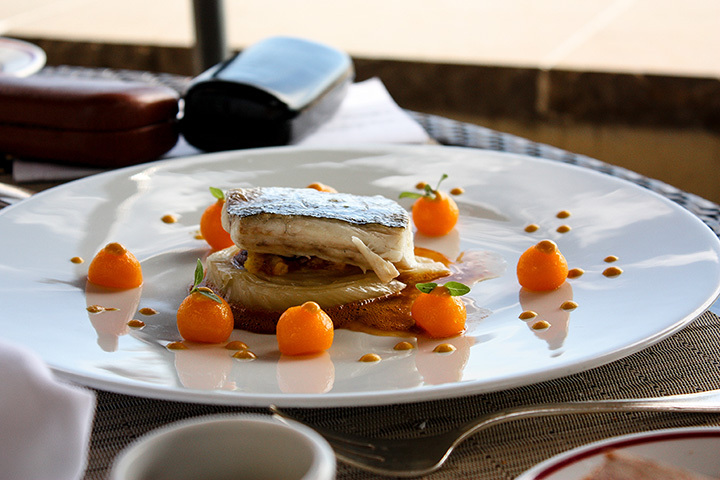 Bellecour is a French cuisine entry from acclaimed chef Gavin Kaysen (of Spoon and Stable fame). Named for the town center of Lyon, Bellecour vibes the culinary traditions for which the French city is renowned. The bistro and bakery offers the West Metro the kind of classic French cuisine and baked goods that you’ll be thinking about for a long time. It’s a Dirty French Burger type of night. The downtown St. Paul lunch crowd will appreciate the unassuming Maison Darras, which delivers quick, casual, and delicious French food in in the Skyway. The soup du jour is always a belly-warmer. The ham and gruyere with truffle butter on a baguette will keep you satisfied all day long. In the Rochester area, folks feeling like French food can find a good sampling, along with Moroccan classics, at Casablanca. Try the tagine ala Française, the Moulin Rouge cabaret chicken, or the rich bouillabaisse which they make from a recipe that’s hundreds of years old. At Cave Vin, a popular neighborhood eatery in South Minneapolis, you’ll find a simple menu that’s peppered with classic French comfort food like steak frites, onion gratinee, and beef tartare. The neighborhood feel and cozy atmosphere give Cave Vin the feel of bistro in Burgundy. If you like your déjeuner with a Gallic flair, the French Hen Café is the place for you. Not all of their breakfast and lunch fare is French, but the café itself and many of its plates are clearly inspired by the old world. Look for the crepes, quiche Lorraine or salmon Niçoise salad. The menu at Saint Genevieve screams “bistro”—it’s punctuated with expertly-executed French classics. From beef tartare and mussels to frites and three types of tartine, you’re ceratain to satisfy your palate’s yen for the finest of French fare. St. Paul’s Bar Brigade creates Old World cuisine with distinctive New World twists, such as the wild boar bourguignon. They also have an impressive cheese selection, and classic French starters like fresh oysters, mussels in white whine, and of course, a soup du jour. Grand Café combines traditional French methods and dishes with New American flair. You may see a pork terrine with mincemeat chutney, a tarte flambé with bacon, or a pike quenelle with crayfish sauce. The undertones and preparation say “French” but the flavors are oh-so-bold.